Some might think not so cool to wear ripped jeans, but I really like ripped jeans. It's a statement piece, if you want to go out casual wear but at the same time wanna look edgy and cool, try to change you ordinary jeans to ripped jeans. 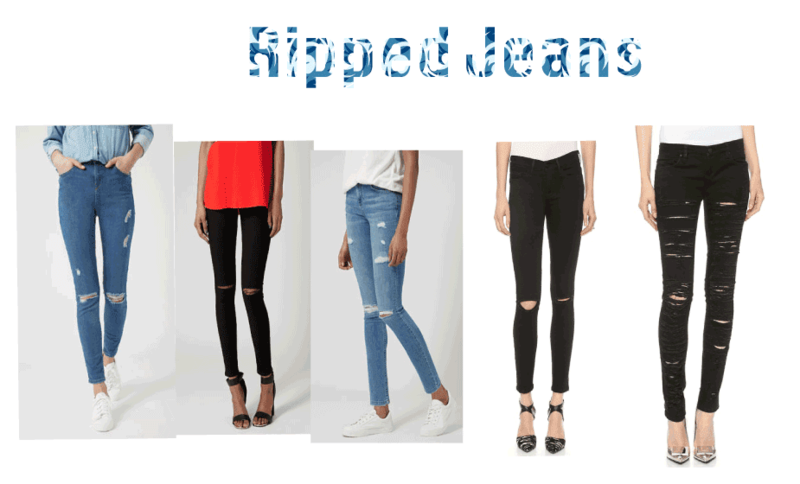 You can wear your ripped jeans with simple shirt with a bright colour lipstick. You can wear your ripped jeans with sweat shirts and pull up your hair in a bun with a chunky sandals.